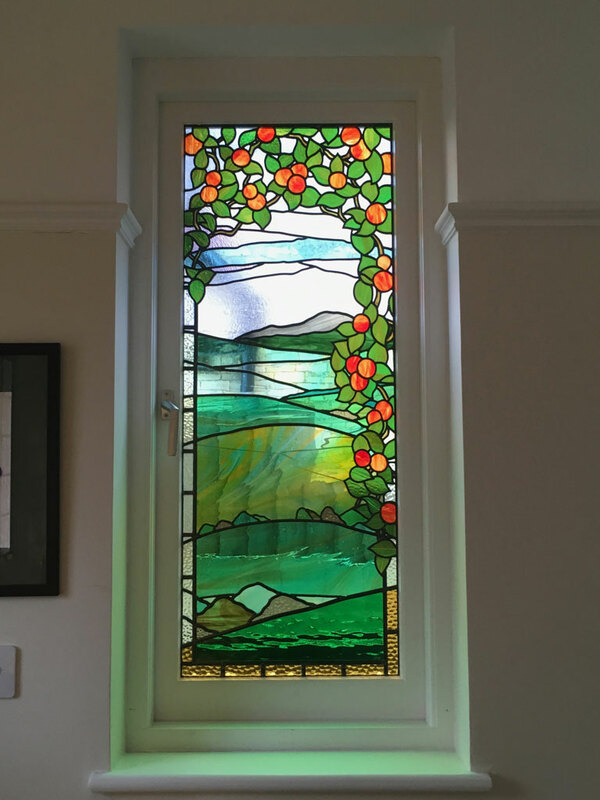 This website gives you an introduction to my work as a designer and maker of original commissioned window and door panels which are made using traditional techniques and materials. 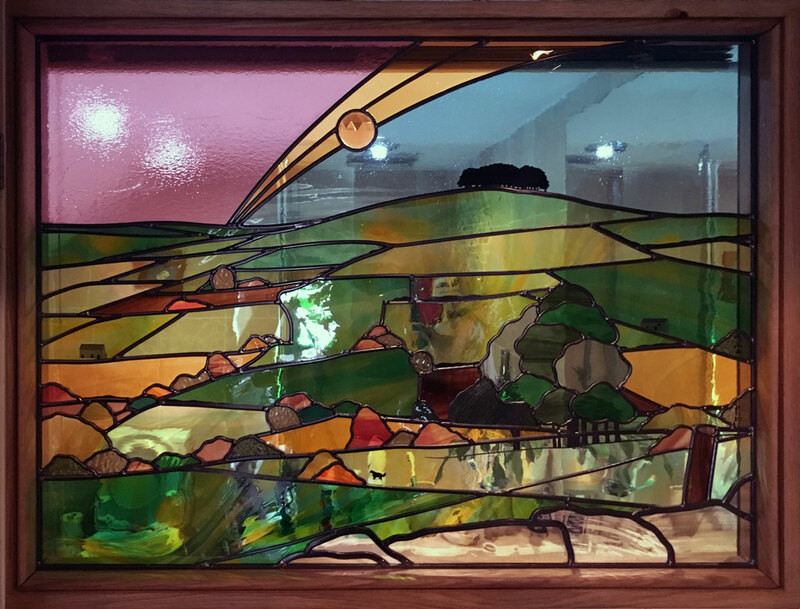 The glass I use is specially chosen to suit the location and ambient light, and as a result the shade and quality of each piece changes with both the weather and the time of day. 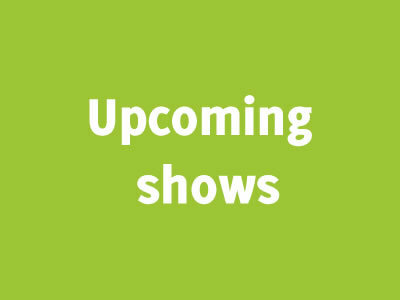 Panels are especially designed in full partnership with clients, and have also been exhibited nationally. 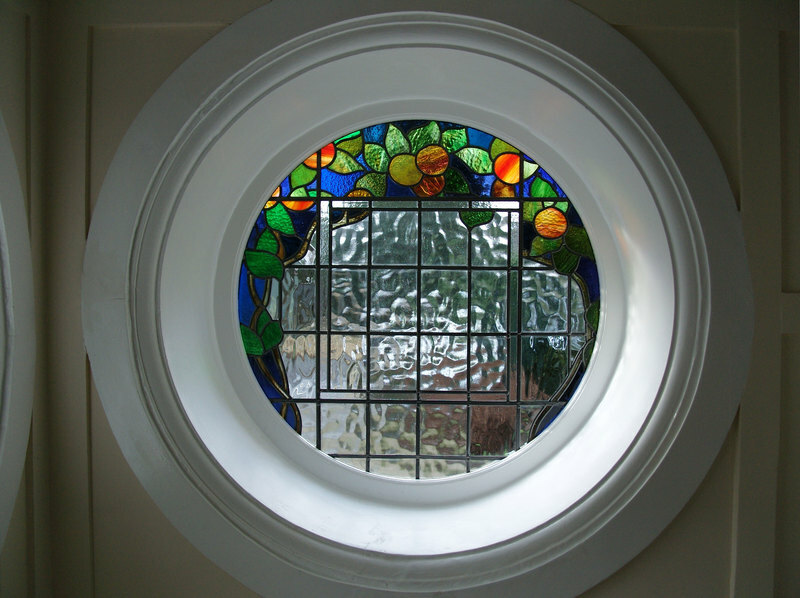 Stained glass commissions are undertaken both locally and nationally. 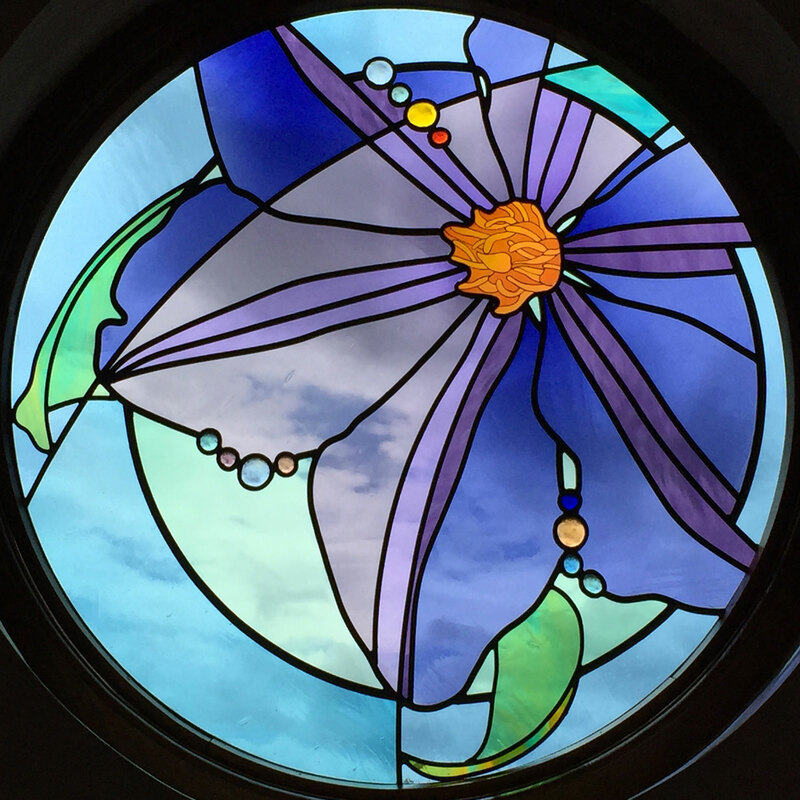 Commissioning a stained glass panel allows you to acquire a unique piece of art which above all is an expression of your ideas. 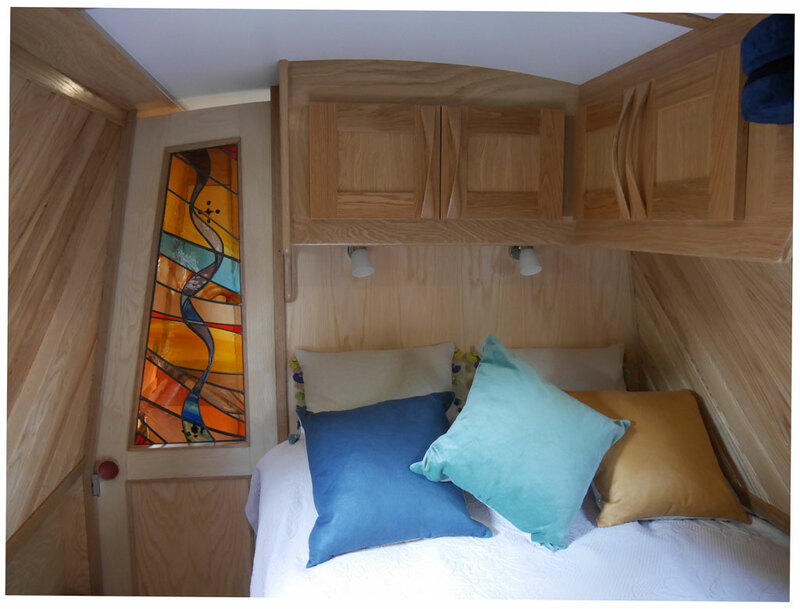 A complete service is provided from conception through to completion, and I aim to involve you fully in the design process. My inspiration comes from the beauty of shapes and forms found in nature. 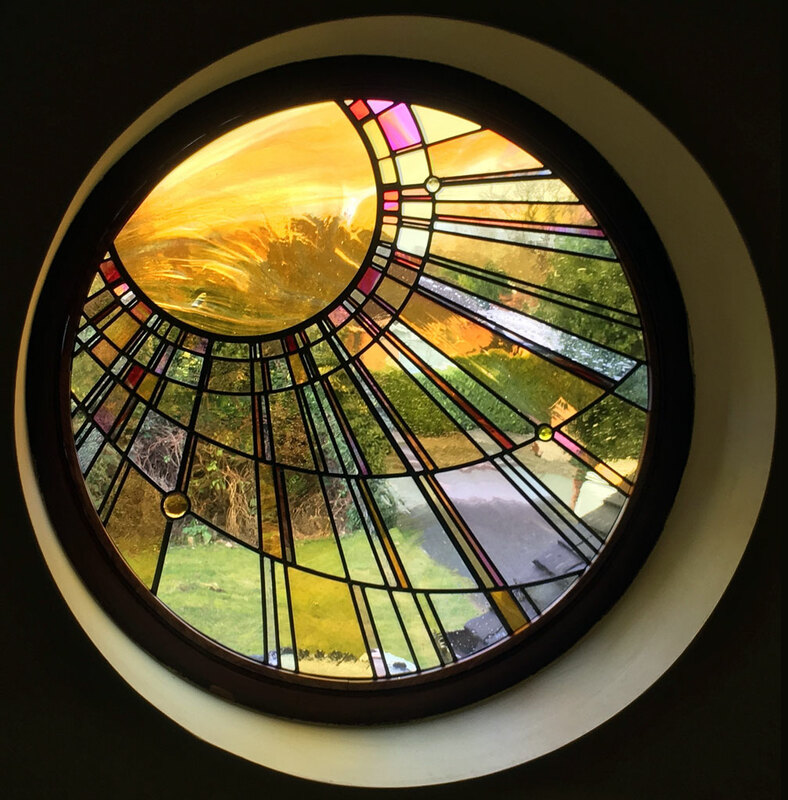 This 3 day long-weekend course will provide you with an introduction to the design and making of decorative stained glass panels. 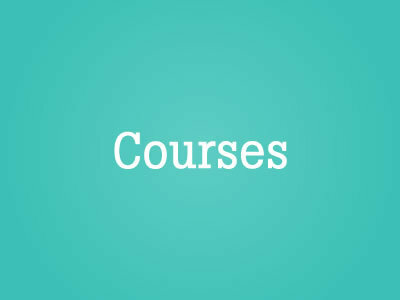 Each course is limited to four students to ensure everyone receives 1:1 tuition whenever they need it. 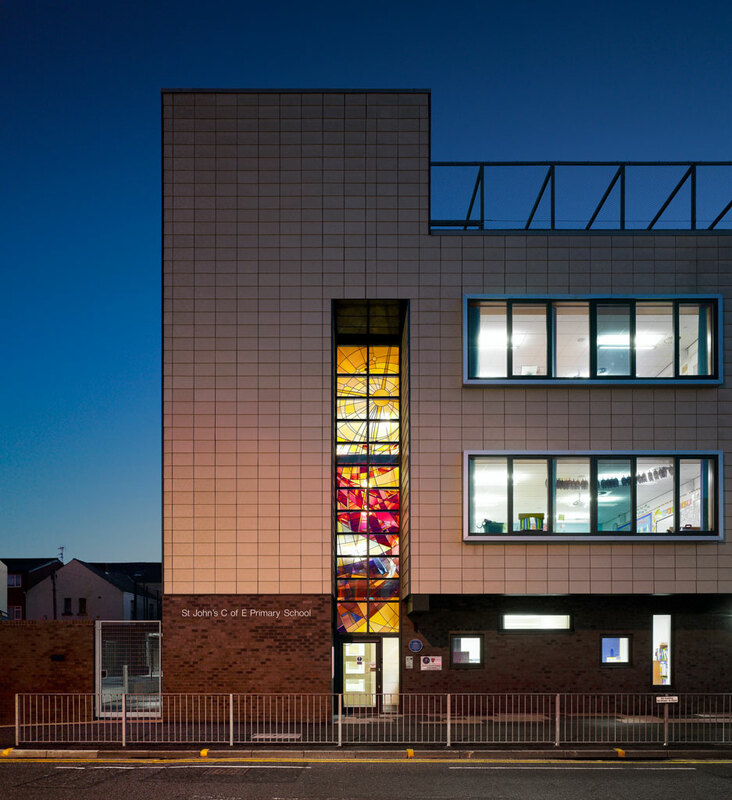 It will focus on the practical aspects of design, glass cutting and soldering with a view to completing your own small project using traditional leading techniques. 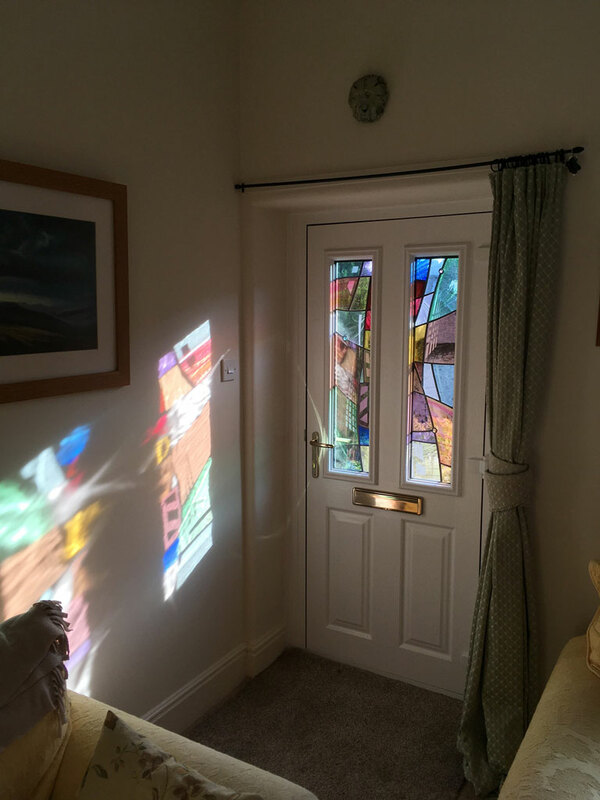 As a family we loved the process of commissioning our fabulous stained glass window from you. 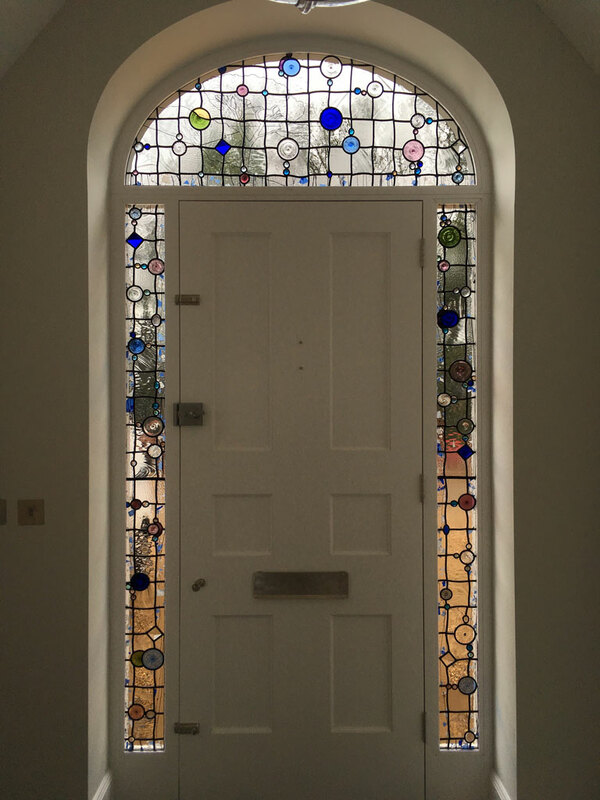 The questions you asked gave us food for thought and evoked many happy memories of places we have been and which are now enshrined in the stunning piece you made to frame our new front door. You have succeeded in combining colours, memories and beauty all in the entrance to our home and it makes us smile every time we look at it. Your skill and artists eye has created a spectacular piece of art and we are so grateful to you and will cherish it. 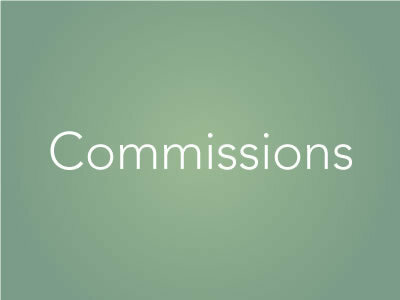 You also made the process so easy, coming to see us on several visits and we weren’t rushed into making any of the decisions that the design elements required. Our meetings were such fun and thought provoking. In the end we were very happy to leave the final design to your expertise, experience and skill knowing that we would not be disappointed. And we weren’t. We thank you for being an integral part of helping us turn this old house back into a much loved home and know that your part in it will live on into posterity. We are very happy to have met you and I am now busy looking for more windows that might need some more stained glass. We found Dave very easy to work with. 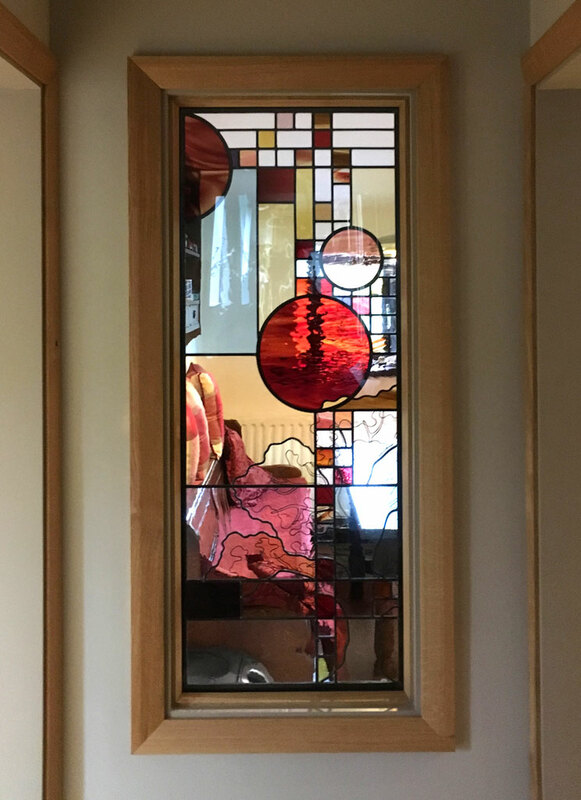 During our initial conversation we soon realised that we had similar ideas about stained glass, and that he was very sympathetic to what we were trying to achieve. We were delighted with his initial design which reflected exactly what we had in mind. Inevitably, we asked for some changes, but he incorporated these creatively and without fuss. The end product is as beautiful as we dared hope, and gives us daily pleasure..